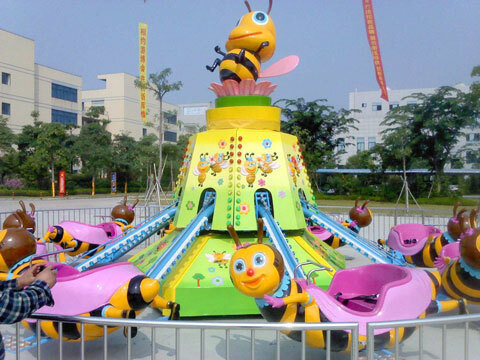 Rotary bee is another kind of spinning ride which is popular among kids. It is a new type of rotary equipment, looks exactly like octopus, and sharps like dragon more or less. It moves ups and down. This equipment is ready to go at any time. Every seat can be sit by two persons. People can experience of swinging like a fish, flying like a dragon. The speed can be adjusted anytime you want. This kind of ride is similar to the self-control plane. 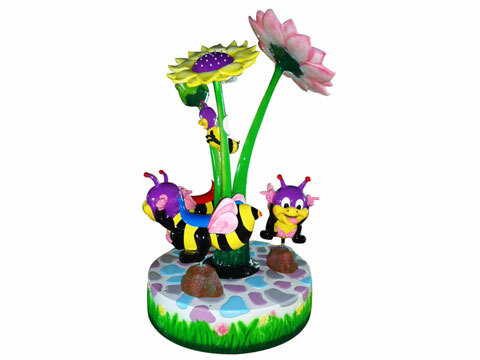 Its cabin is so cute with a cartoon bee shape which is lovely and vivid. The whole height is not very tall and the speed is not very fast. Parents could keep accompany with their kids when it rotates. 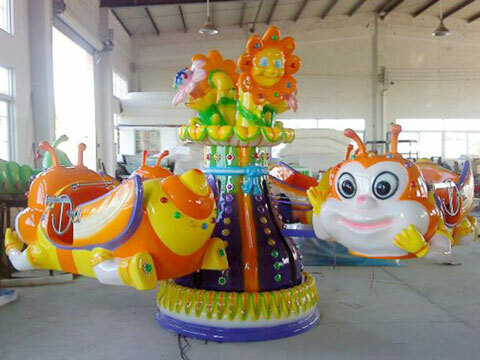 Each of the arm will rotates up and down out of order according to the age of the kids, it is attractive as the classic carousel rides. 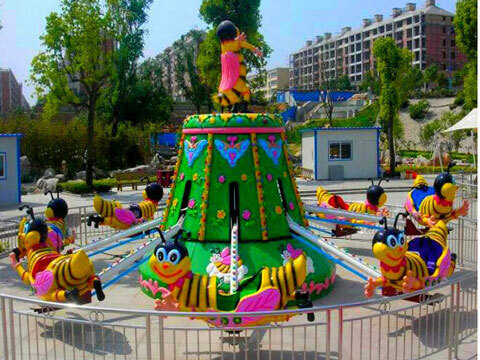 In Beston Amusement, there are mainly 2 types of rotary bee rides. One kind is large, the other kind is small. The self-control rotary bee contains by three main systems, which are mechanical system, hydraulic system, and control system. General electroplax of control box is general control system, voltage is 380V. Inner distributor controls branches, voltage is 24V AC/DC. 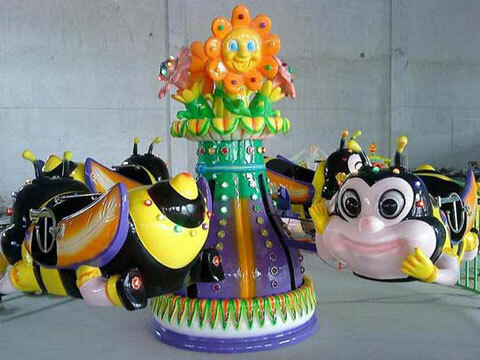 Large and small rotary bees are available in Beston. 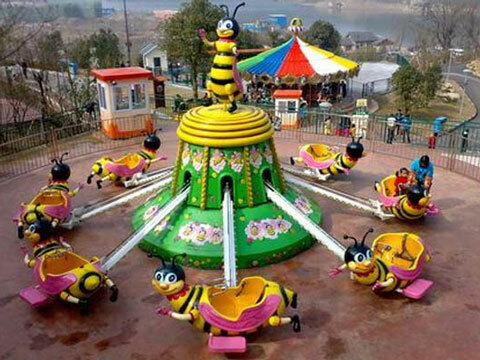 Passengers could control the ride and down of the bee ride by themselves. It is attractive to little kids with its cute appearance and novel design. High quality but with lower price which is a perfect invest for kiddie park.